International Development Secretary Penny Mordaunt said the fire was “heartbreaking”. 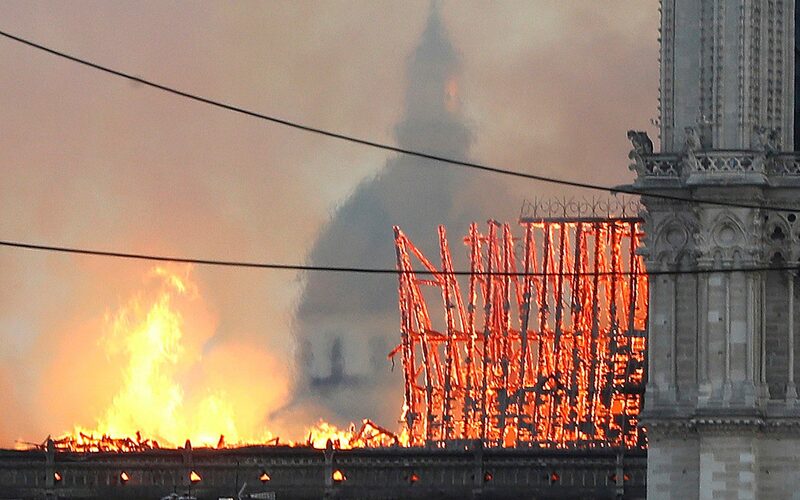 She said: “Heartbreaking to see Notre Dame ablaze. Praying no one hurt. Historian Tom Holland said: “History is indeed being made in the most terrible, heart-rending way. A spokesperson from Westminster Abbey said they were “devastated” for their friends at Notre Dame and for the people of France. “You are in our thoughts and prayers tonight,” they added. “It is an iconic building visited by millions but more importantly is a symbol of faith which is at the heart of Europe.